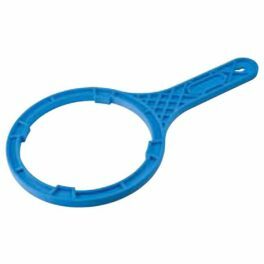 Include an additional S/S Net Cartridge? 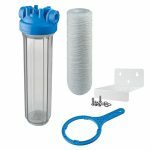 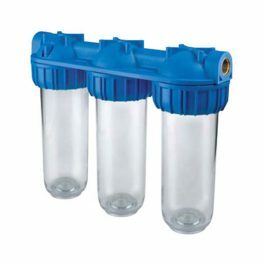 Include an additional 25 Micron Filter? 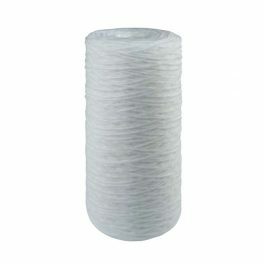 Add Extra 25 Micron Filter (Replace every 3-6 months) £3.95 (AF/RE5115411) (£3.95) This must be a number! Include an additional Carbon Block Filter? 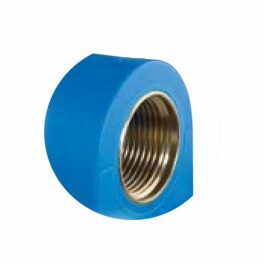 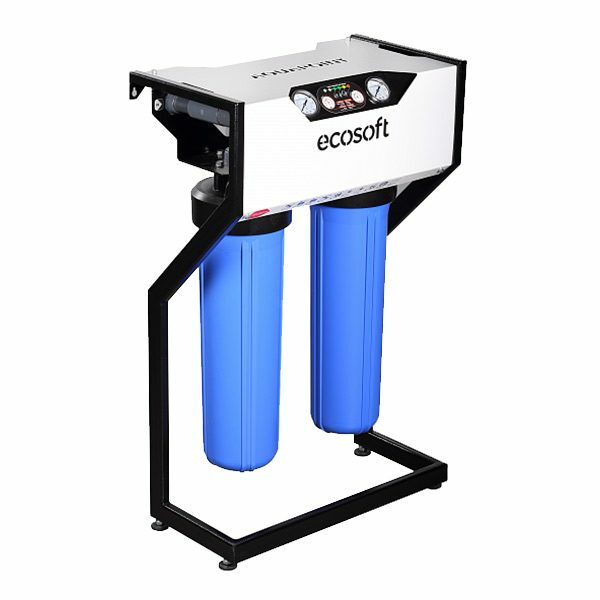 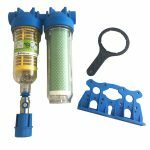 The Ecosoft AquaPoint home filter is suitable for filtration or prefiltration of a cold water supply. 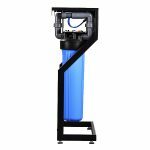 The system is designed to be either Floor-standing or Wall-mounted to make installation easier. 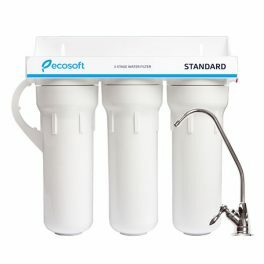 It will provide pure filtered water for use in houses and apartments. 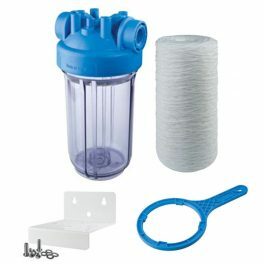 Before purchasing you should make an analysis of your water and know what it is you intend on filtering from the water. 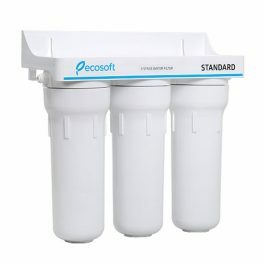 We recommend changing the replacement filters every 2‒6 months to maintain filtration levels. 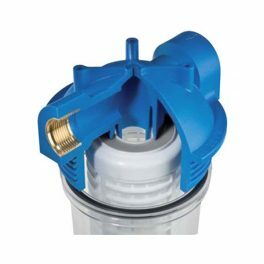 AquaPoint filter has two pressure gauges that will help you determine when it’s time to change the replacement filters. 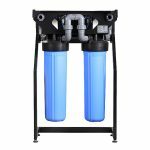 The AquaPoint can be used a pre-filter as part of a larger water treatment system. The image below shows how the AquaPoint could be used along size a Premium water softener, a UV disinfection unit and a Reverse osmosis system. 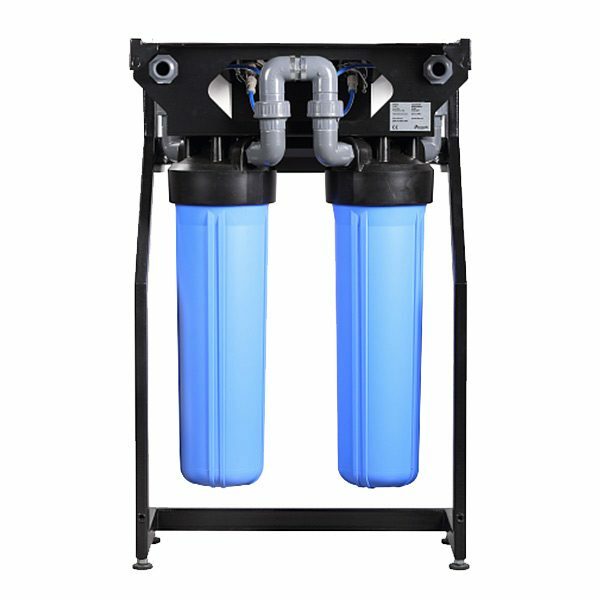 to provide a complete water treatment system.